It’s just one of the good reasons to choose BNB! Rain on the roof means a lush garden… just the ticket for Cellar door relaxing!! Our Southern Cousins might like having a ‘good-natured go’ at us Queenslanders, but when it comes to designing houses, we’ve got it right for life in the SUB-TROPICS. Looking for somewhere to enjoy the benefits of recent downpours, well ….. look no further! Come on out to HILL OF PROMISE WINERY & CELLAR DOOR. Enjoy a tasting, settle back with a coffee and soak in the colour and perfume of our garden. If making a special trip, best to give the Cellar Rat a quick call – 4126 3470 or 0408 875 305. 10am -4pm Alla prossima! 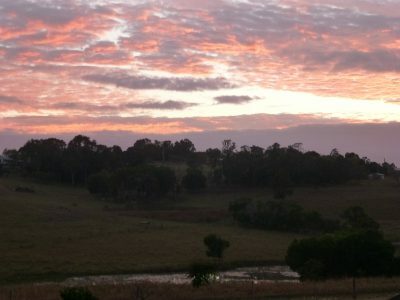 Our reason for staying in Childers was a sad one – the funeral of a family member – but being able to come back to the little haven of our BYRNE cottage was an unexpected bonus: the calming view of the hills dotted with cows (although obviously experiencing very dry weather), the large water birds coming and going from the dam, the little willy wagtail that made us aware of his presence. The cottage was all we could ask for… and more. Thanks Mary and Terry. This was the perfect place to stay with all the busy-ness that goes with a wedding. Really enjoyed our stay here, Mary. Extra nice to see the long-awaited rain come to fill the tanks. My reason for staying in Childers was business based but staying at Mango Hill Cottages took the ‘business edge’ off, as easily as kicking off the heels and settling back with just the lamp light, a glass of wine and my fave CD in the background. Everything you need is here…. even down to the little box of tooth brushes and toothpaste (new of course!) in case you’ve forgotten yours. It was a hectic work day and I slept soundly. Thanks, Mary, for pointing out the ‘where’ and ‘when’ of sunrise. Mary, staying here has given me the time to find energy and calm to continue on my trip home to Alice. Thank you for providing the right balance between privacy and helping me find my way around Childers. It is a lovely, friendly place. I feel as if I have been to a health retreat. All the best for the year ahead! 3 CHEERS for 3 RIGHT HANDS! 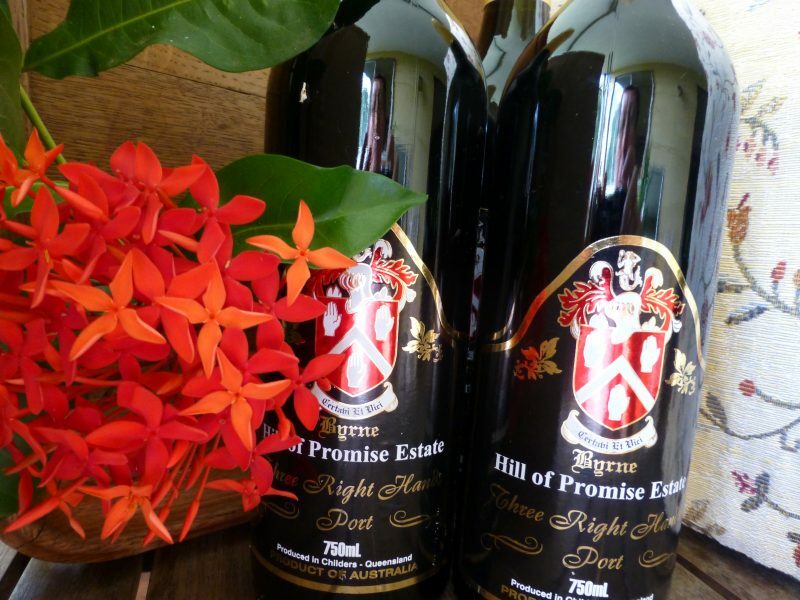 The HILL OF PROMISE ever-popular FORTIFIED RED was sold out at NEW YEAR but guess what, Terranzo the wine maker has been busy bottling and it’s back in stock. It’s a simple process to order our wines. Give us a buzz on 1800 81 60 20 to place your order. 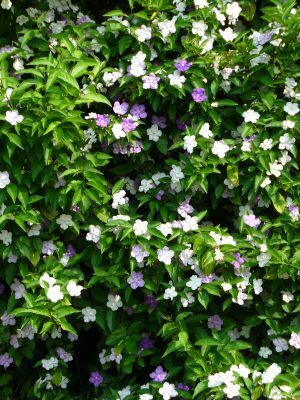 A leafy garden, a shady verandah…. 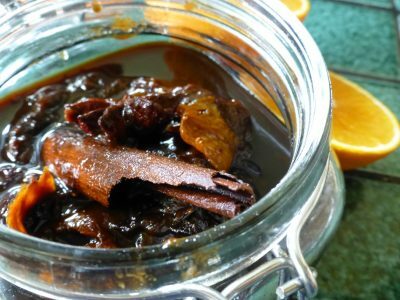 We love this sub-tropical paradise and the long summer that goes with it but ….. you can have too much of a good thing! An old Queenslander with wide verandahs and shady trees does offer some respite. Come on out and see what we mean! 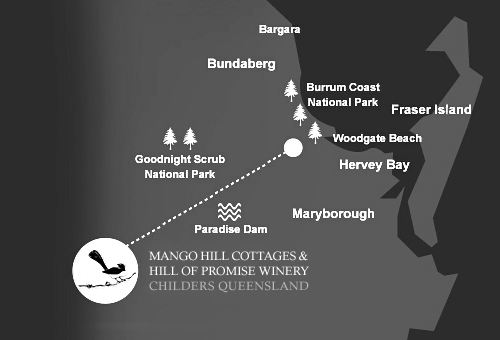 HILL OF PROMISE CELLAR DOOR open 10am – 4pm On the h’way 4km south of Childers Village. If you’re planning a special trip over, perhaps give us a call 07 4126 3470 e: mangohillcottagebb@bigpond.com Ciao! 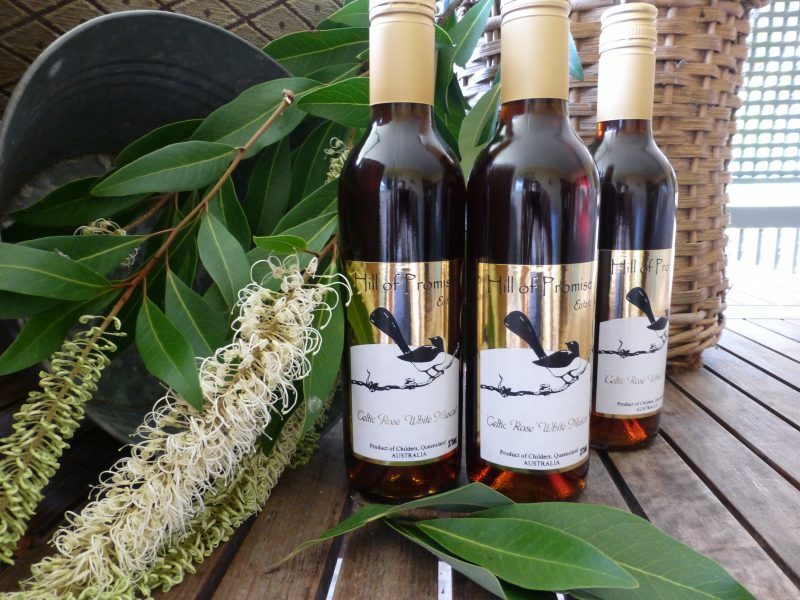 CELTIC ROSE WHITE MUSCAT BOTTLED AND BACK! 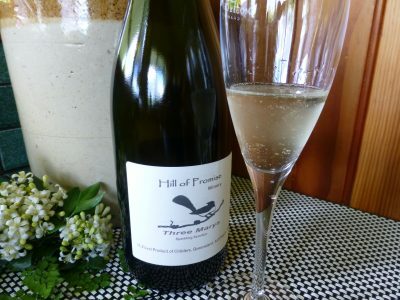 Say HELLO to our LATEST EDITION of 3 MARYS SPARKLING SEMILLON! The 2016 SINGS OF SUMMER with tropical fruit and sherbet notes. 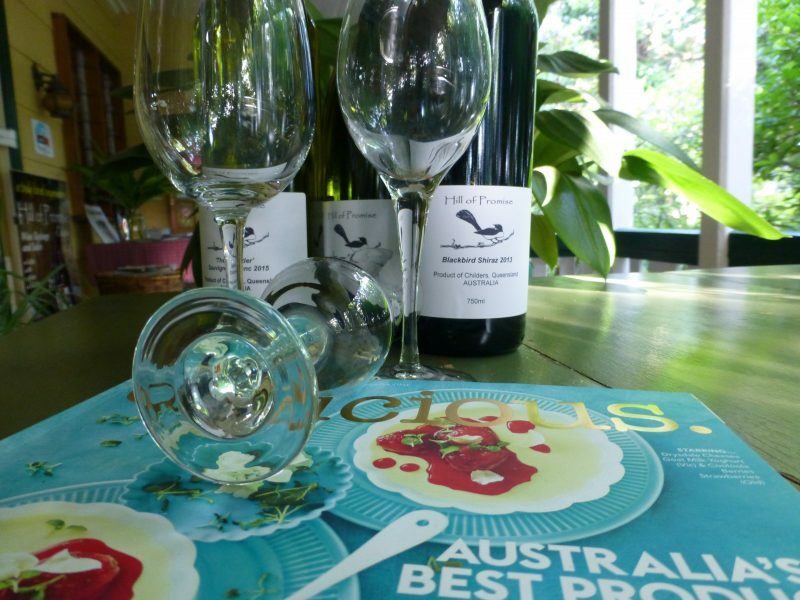 TASTINGS are on offer @ THE CELLAR DOOR OPEN 7 DAYS 10am-4pm. We’re proud to be part of a 300-year old artisan tradition of creating bottle-fermented sparkling wine. When you open a bottle, you release those ‘princesses trapped in the tower’. They’re just waiting to add their sparkle to any creation …… such as ours last night – MOROCCAN CHICKEN with Orange Zest and Thyme. delizioso!!! 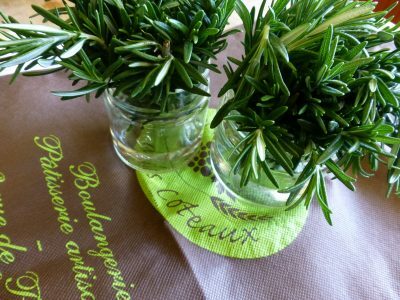 buona cucina! Located at our winery - Hill Of Promise!